Welcome back DH@UO readers! This term we have some exciting Research Interest Group meetings and workshops, and we hope to see you there! The first will be a Twitter workshop, on Friday, April 21 from 3-5 p.m. in Knight Library 117, where veteran Tweeters Rachel Tanner and Courtney Floyd of UO’s English Department will share tips and techniques for using Twitter in scholarship and pedagogy. Light refreshments will be served, and the event is free and open to the public. 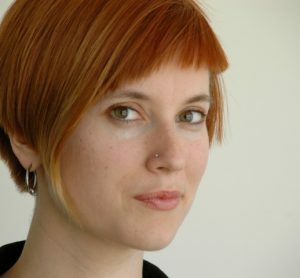 Dr. Constance Crompton, image from her website, constancecrompton.com. Today we’re pleased to present a new episode of the DH Podcast, where we sat down with Dr. Constance Crompton to discuss getting started with DH, no matter your current academic level or previous experience. Dr. Crompton is an Assistant Professor of Digital Humanities and English, and Director of UBCO’s Humanities Data Lab. She is a researcher with the Implementing New Knowledge Environments project and, with Michelle Schwartz, she co-directs the Lesbian and Gay Liberation in Canada project. She serves the associate director of the Digital Humanities Summer Institute and as a research collaborator with The Yellow Nineties Online. Her work has appeared in several edited collections, the Victorian Review, Nineteenth-Century Gender Studies, Nineteenth Century Studies, The UBC Law Review, Digital Humanities Quarterly, and Digital Studies/ Le champ numérique. She is co-editor, with Richard Lane and Ray Siemens, of Doing Digital Humanities (Routledge 2016).